I must admit I was wondering "What am I going to do if Adrian doesn't come up with a current version of Stamp Organiser I can only imagine it would be like losing a limb?" I needn't have worried because here it is. Thank You. We hope you will never have any issues with the British Stamp Organiser but if you do have issues then please take at look at the information provided on this page. If you still have an issue please Contact Us. If you are having issues using the British Stamp Organiser then maybe some of these pages might help. If one of these questions sounds like the issue you are having click on the question to view the answer. Question: Does the British Stamp Organiser work on Windows 10? YES - British Stamp Organiser works on Windows Xp (SP3), Vista, Windows 7, 8 and 10. It also works on a Mac (Intel) but NOT ipads or iphones. In most instances this problem can be solved by installing the Stamp Organiser with Internet Explorer. Question: When trying to activate I get a message saying "Problem connecting to server"? Question: I am no longer getting browse updates. Question: I have renewed my subscription but my subscription date has not changed? Answer: It would seem that your computer has not automatically updated your application. Follow the below instructions to get the latest version which will correct your problem. Make sure the Organiser is closed. When the button saying "Installed, right click here to uninstall" appears right click on the button and click "Remove this application". Clear your browsers cache and restart your computer. Refresh the page and click the button "Install British Stamp Organiser 7"
Question: How do I transfer my collections from my old computer to my new computer? On your old computer go to "MENU > Create Backup" within British Stamp Organiser. Transfer the backup file to your new computer. Now you'll need to install the British Stamp Organiser on to your new computer by going to www.stamporganiser.co.uk/install. You do not need an activation code or a product code as the British Stamp Organiser knows what you have purchased based on your email address. From within the British Stamp Organiser on your NEW computer go to "MENU > Restore Backup" and select the Backup you've just transfered. Question: How do I move my collection from an Apple Mac To a Windows PC? On your Mac go to "Main Menu > Create Backup" and create a backup file. Go to "Main Menu > Restore Backup" and select the backup you've just transfered. Question: How do I move my collection from a Windows PC to an Apple Mac? On your PC go to "Main Menu > Create Backup" and create a backup file. Question: I don't have my activation code or product code any more can I still use the product? Answer: When you activate your British Stamp Organiser for the first time we link your payment (Activation Code) to your email address. The next time you want to install the British Stamp Organiser all you will need to provide is your email address and password. Question: I don't have a CD how do I install the British Stamp Organiser? Question: I have purchased the British Stamp Organiser but have not received a CD yet? Answer: You do not need a CD to install the British Stamp Organiser. Just go to www.stamporganiser.co.uk/install and install it from there. Even if your British Stamp Organiser came on a CD you can use the above url to install it from the internet. Answer: There is an issue with an older version of safari on the MAC which broke our installer. Please make sure you've installed all available updates to safari and Mac OSX and try again. Or you can install the British Stamp Organiser by using a different web browser. Question: I have purchased the British Stamp Organiser download, what do I do now? Question: I have a previous version of the Organiser, If I buy the British Stamp Organiser will I keep all of my collections? Question: Do I have to purchase again to install on a new computer? Question: Can I install the Organiser onto more than one computer at a time? Answer: No, You are allowed to install the Organiser on up to 5 of your own computers. You are not allowed to install the Organiser on another persons computer. Answer: My FREE trial has now finished (Is my data safe? What happened to my collections? Can I un-install my previous Stamp Organiser product?) Everything you entered in your trial period is still there waiting for you on your computer. When you purchase the Organiser on this website you can then re-activate your copy of the British Stamp Organiser. Once done all of your collections will be there waiting for you. Question: Can I un-install my previous Stamp Organiser product? Answer: Make sure you have restored your data into the British Stamp Organiser and that you have checked it for completeness. Once your are happy that you have restored your collection to the British Stamp Organiser create a backup. You can now uninstall your previous Stamp Organiser. Question: Why can't I have a CD to install the program? The CDs have been made available in order that the British Stamp Organiser can be purchased as a gift. The recipient is then able to download the program with their own contact details. The CDs do NOT contain the program, only the instructions on how to download, which are already on the website. The CD will NOT help you if you are having downloading / installing problems. Question: When can I expect to see new stamp issues appear on the Stamp Organiser? Answer: For each new stamp issue Royal Mail impose two embargo dates, which as dealers / cover producers we have to adhere to. In the main, we are normally able to feature our first day covers on the website (not the Organiser) a couple of weeks before the issue date. Then, maybe a week nearer to the issue, we can show the actual stamps, presentation packs, stamp books etc on the website. Royal Mail are increasingly issuing high profile issues which often mean that the time we have to add everthing to the Organiser is very limited. In these cases you need to be patient - we do aim to get everything uploaded as soon as possible. Question: I'm using version 6 is this ok? Question: I have a current subscription but I can not see new stamp issues in the Organiser? Answer: If you can not find the Shackleton Stamp Issue Complete Set or you have no Issues from 2016 then it means that you are using an out dated version of the British Stamp Organiser. Go to "Main Menu" > "About" and check the version. If you are on Version 6 then click here and follow the instructions to upgrade. Remove your current version of British Stamp Organiser. Go to www.stamporganiser.co.uk/install Once there you'll need to right click on the button that says "Installed, right click here to uninstall" and select "Remove this application.". 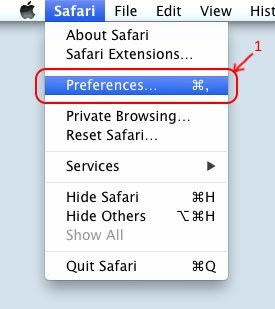 Clear your web browsers cache. Install British Stamp Organiser 7. Go www.stamporganiser.co.uk/install and click the "Install British Stamp Organiser" button. Question: Why am no longer getting the latest stamp issues? Answer: Have you tried clicking on Menu > Check for 'Browse' Updates? One possibility is that the your subscription has ran out. Take a look at the above question and see if that applies to you. Question: Prices are no longer showing as £? Question: Windows 10 - Sometimes when users upgrade the £ symbol changes to $. Question: How do i change my email address on my account? Answer: If you send us an email to support@stamporganiser.co.uk with your old and your new email address we will change our records for you. Question: The British Stamp Organiser no longer opens correctly. Question: When I try to open the Organiser all I get is a blank/white screen? Answer: Make sure the Organiser is closed. "My Documents > British Stamp Organiser > BFDC.db"
"My Documents > British Stamp Organiser > Preferences.db"
Be careful to only delete the above two folders. Question: I no longer have the Icon for the British Stamp Organiser. Answer: Sometimes this can be fixed by simply restarting your computer. Bit it is probable that your British Stamp Organiser has some home been uninstalled. Please go to www.stamporganiser.co.uk/install and install the British Stamp Organiser again. Question: I received a message saying "A corrupted database has been detected". Answer: If you receive this message the Organiser should be able to recover without any attention. If you continue to get this error message please try deleting the following folders. "My Documents > British Stamp Organiser > settings.db" - if it's there. If you still continue to get the error message then it is most likely that you have a firewall that is blocking the British Stamp Organiser from downloading from the internet. Please turn off your firewall and delete the above folder again. Now open the organiser. If it now works you will have to turn your firewall back on. You now need to add an exception to allow the British Stamp Organiser to download from the internet. Note: You do not need to add an exception for our website: www.stamporganiser.co.uk You only need to add an exception for the application (program) running on your computer, i.e. the British Stamp Organiser. If you are still getting the error message then please turn of your 'User Account Control' and then try the above again. If you still are getting the error message then you'll have to try to un-install the Organiser and re-Install the Organiser. You will not lose your data by doing this. Question: The Organiser has started to run slowly. Answer: Speed issues can develop if you store too many items in any one collection. If this happens, limit each collection 1,000 items. Much depends on the speed of your PC. Question: I'm using 'Windows Live Photo Gallery' and it now has lots of images of stamps in it? Answer: We store a local copy of all the images you view within the British Stamp Organiser in our folder "My Documents > British Stamp Organiser". If you have this problem, you must have your 'Windows Live Photo Gallery' set to scan your entire 'My Documents' folder and not the default setting: 'My Pictures' folder. You can alternatively set the Organiser to not keep any images but download each image every time. Question: How do I take a screen shot? Question: I get an error report "Script error" and cannot open the Organiser. Answer: This is probably being caused by the Silverlight installed on your PC being corrupted. First you'll need to un-install Silverlight. 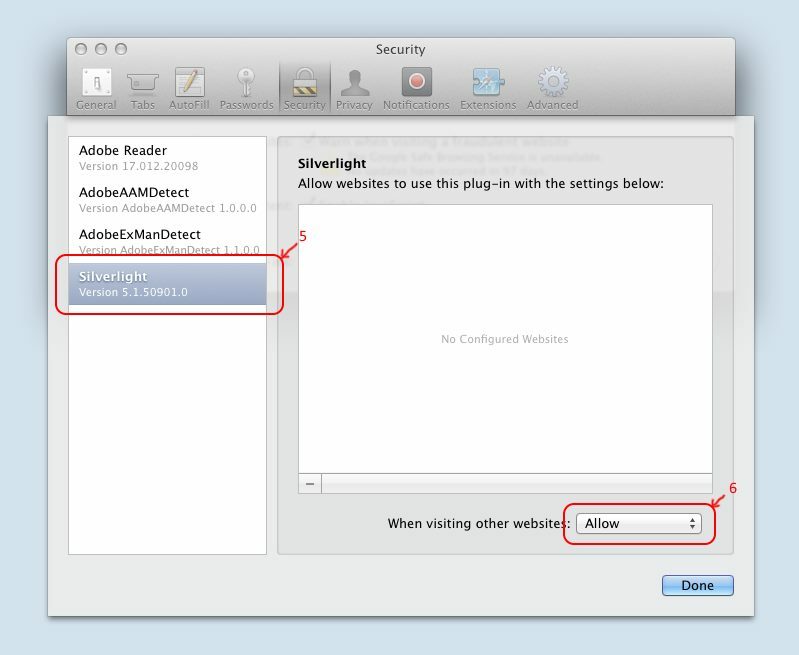 Alternatively make sure that silverlight is enabled in Internet Explorers Manage Add on's Window and that its enabled in the plug-ins window for Firefox (if you have it). Question: I have entered 1000's of items into one collection, how do I now split it up into multiple collections? First you need to create your new collections. Then sort your existing collection to make it easier to select what you want to move. Then multi-select the items you want to move, e.g. click on a row (the start of your big selection). Hold down shift and click on another row (the end of your selection) and every row between your two selections can now be moved en-bloc. Right click the selected items and select move - or click move at the top left of the window. You will be asked which collection you want to move the items into. Select the desired collection and click move. Repeat the above steps until all the items you want to move have been moved. Question: My own images are missing - how do I get these back? Answer: If you follow the steps below you should be able to restore your own images into the stamp organiser. Once you have done this you can open it in windows. Open this file and copy all the images found inside to the folder "My Documents > British Stamp Organiser > Images > User > huge"
You then need to select the Main Menu within the Stamp Organiser > Options > Images > "Clear BFDC Image Cache"
You need to allow the silverlight extention. 4. Click on "Manage Website Settings..."
New window ‘Export Settings’ appears - Choose the options you require. Question: Some or all of the Stamp Organiser images are missing. Now repeat whatever you did to make the Stamp Organiser crash. You will now find a log.txt file in the folder "Documents > British Stamp Organiser"
Send an email to support@stamporganiser.co.uk attaching the log.txt file and provide us with step by step instructions you took to make the stamp organiser crash. Questions about using the British Stamp Organiser. Question: I want more details in my reports? Answer: You can export your collections to a Spread Sheet and then use programs like Excel to create a more detailed report. Question: Do I have to enter my own catalogue numbers? Answer: We are often asked why it is that the British Stamp Organiser does not come pre-loaded with the Stanley Gibbons catalogue numbers, especially as all dealers use their numbers in their price lists. We have approached Stanley Gibbons on a number of occasions about using their catalogue numbers, and even offered to pay a license fee. Unfortunately on each occasion our requests have been declined. Question: Why don’t you offer telephone support? Answer: In order to answer your query we need to keep track of both your and our responses via support@stamporganiser.co.uk – the whole dialogue history then gets logged on to our records. This is really important so that we can refer back to what solutions we have recommended and whether these worked or not. With several queries on the go at once, it becomes impossible to do this over the phone – it is not possible to remember every telephone conversation. The main reason for requiring email support is because we will often need to give you multiple things to do in a list form (with lots of IMPORTANT details in each list item), Just like some of the answers on this page. We cannot stay on the phone while you do these as it could take a very long time to complete the list and all we would be doing is reading the list out to you. You would not be able to remember all things we need you to do and certainly not the small IMPORTANT details about each step. You NEED a written down (email) list of things to follow. This is for your benefit as well as ours, as you will be able to refer back if you need to in the future. Are you are using a Mac or a PC and which version of your operating system you are using? Which of these are you having a problem with? At what point does the error occur? or At what point does the program stop working? If it is an installation problem, let us know exactly what you have done up to the point the problem arises. If there is an error message, you need to inform us what the error messages says – you can do this by copying and pasting the error messages into your email, or better still, take a screen shot. Armed with the above information we will then have a better understanding of what needs correcting and possible solutions to get your program up and running. I apologise if this sounds a convoluted way of doing things but it does work, and we normally get problems sorted. Question: Only the mainstream Post & Go issues are now included - Why? Answer: Ten years ago when I first took on the role of producing the Stamp Organiser and adding all of the stamp issues to the database, I never expected there would be so many issues. However, I have taken all of this on board and listed all of the items, both as sets, and individual stamps for thematic collectors. If you read the SCOPE of the Organiser in the NOTES section of the Stamp Organiser, my criteria for listing issues was whether Royal Mail considered stamps to be new issues, i.e. by providing a FIRST DAY OF ISSUE postmark. None of the ‘non mainstream’ Post and Go issues fall into this category. I listed the first Post and Go ‘non mainstream’ issues to satisfy a small minority of collectors because I thought it was a one off issue. This was a mistake on my part as I then felt obliged to list them all. However, now Royal Mail are issuing even more sets each year I simply do not have the time to list them all. Collectors are able to list these for themselves within the Stamp Organiser – see the Stamp Organiser NOTES Adding Varieties. Question: How do I add stamp varieties, i.e. items not included on the Stamp Organiser? These can be accessed from the "Main Menu" within the British Stamp Organiser. Question: Why are some of the Classic Locomotive single stamps missing? If you wish to enter them again you can add them as a variety - see Help Notes in the Menu 'Adding Varieties'. Question: How do I add a FDC which is not on the Stamp Organiser? Answer: Find the stamp issue to which the cover relates. Browse first day covers for that issue. Click on ‘Add FDC for Stamp Issue’ (No Image) - top left corner of window displaying search results. You can now enter all the details relating to the cover in the ‘New Item’ window, including changing the ‘Cover Title’ - top right of ‘Item Details’. Question: How do I add souvenir covers? Answer: It is important not to confuse first day covers with commemorative/souvenir covers, which are usually issued to coincide with the date of a special anniversary or event. First day covers are only issued on the first day of availability of a new set of postage stamps. This is the most common area of confusion for collectors. For example the set of stamps to mark the wedding of Charles and Camilla were issued on 8th April 2005. However many covers were also produced and postmarked on 9th April - the day of the wedding. Only those postmarked on 8th are first day covers, with those postmarked on the 9th being souvenir covers. The Stamp Organiser was originally devised for first day covers only, however a few have crept in. Find the stamp issue to which the stamp on the cover relates. Question: How do I find all the Royal Mail/Royal Mint numismatic covers? Answer: Several of these were not produced to coincide with a first day of issue. In other words, some are souvenir covers and NOT first day covers. However knowing that these are popular items, I have included these on the Stamp Organiser. If the FDC search buttons says loading then please wait. Once the Show FDC button is visible Tick the "Include all search types" box. Question: How do I create a wants list? Answer: When you add an item to your collection, deselect the first tick box (purchased item) and it will change to 'Wanted Item'. Then, when you browse your collection, the item will appear in blue text. When preparing reports you can then select just your wants items only. Question: I would like to add a souvenir cover to the organiser. Answer: You can add a First Day Cover for the stamp(s) on the First Day Cover and then select a new date of the First Day Cover.